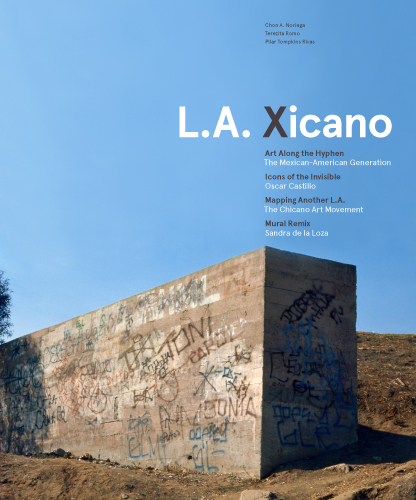 The exhibition catalog for L.A. Xicano explores the diverse artistic contributions of Mexican American and Chicano artists to American art and to Los Angeles’s artistic development since 1945. The volume’s six illustrated essays examine the life and works of the dozens of artists and photographers whose works are displayed and document the important role of artists’ groups. The authors consider these artists and their work in the context of the turbulent history of the time, particularly the development of the Chicano Movement. A plate section features works from each of the four exhibitions. See Related Content, right, for catalog essay "Mexican Heritage, American Art: Six Angeleno Artists" by Terezito Romo. The essay profiles Mexican American artists Hernando G. Villa, Alberto Valdés, Domingo Ulloa, Dora De Larios, Roberto Chavez, and Eduardo Carrillo.